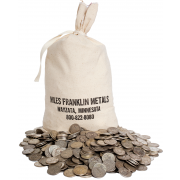 Hopefully, readers understand just how much resource we put into the Miles Franklin Blog, both financial and human. Fortunately, we love what we do; and from a personal perspective, my work gives meaning to my life in an increasingly chaotic world. However, we cannot emphasize enough that we have a business to run; and thus, we humbly ask that if you are considering buying, selling, trading or storing precious metals, please call us at 800-822-8080 and give us a chance to earn your business. Business has been difficult since TPTB embarked on the unprecedented raids of April 2013; and whilst Miles Franklin continues to soldier on – due to the goodwill generated, and exceptional service offered over 25 years in business – many of our competitors, for example, Tulving and Merit – have either folded or on the verge of such. Per this chart, the U.S. is essentially the only place on Earth where people have purchased less gold since the 2008 crisis, care of history’s most maniacal market manipulation and propaganda campaign. This dichotomy between America and the rest of the world is even more shocking when one realizes true gold demand is significantly larger than reported. To wit, China reports its 2013 physical gold demand was a whopping 2,199 tonnes, or twice the level the nefarious U.S.-based “World Gold Council” reports. Thus, as annual gold production is roughly 2,700 tonnes, the Chinese are purchasing roughly 80% of the total. 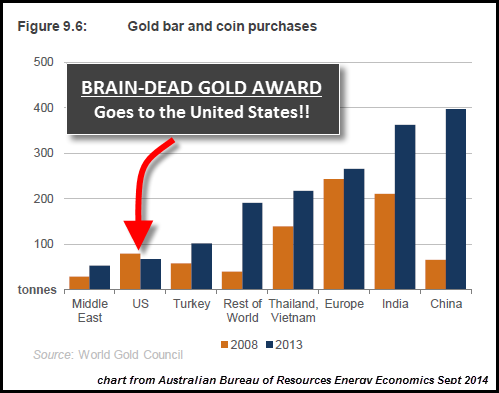 And while this theft is occurring right under the noses of Americans – literally, as such demand has undoubtedly been satiated by surreptitious sales of official U.S. gold reserves – clueless miners continue to fund the World Gold Council. At current prices, it won’t be long before the gold mining industry implodes; starting with year-end reserve write-downs, if prices remain anywhere near the current historically depressed levels. Given my experience as a sell-side analyst covering the energy sector in 1999 – when oil prices briefly plunged below $10/bbl. – I expect 2015 to be the year the mining industry completely halts due to “merger paralysis”; starting with the inevitable combination of two of the three largest gold miners, Barrick Gold and Newmont Mining, whose stocks have plunged to lows last seen in 1993 and 2001, respectively. Moreover, the past two years of Western silver sales records are decidedly not due to Americans and Canadians, given the aforementioned sales trends we have observed. In other words, Easterners are not only draining the gold vaults at the COMEX, GLD and LBMA, but the silver vaults of the U.S. and Royal Canadian Mints – not to mention, the Shanghai Futures Exchange, which has lost 90% of its inventory in the past 18 months. Thus, the only thing more outlandish than the sky-high gold/silver ratio, is the fact silver prices are way, way below their cost of production. And thus, with base metal prices in steep decline as well (two-thirds of silver production is by-product from base metal mines), if you think the upcoming gold write-downs, mergers and production declines will be historic, get ready for truly cataclysmic occurrences in the global silver mining industry – which undoubtedly, is headed for a shortage situation that will make the 2008, 2011 and 2013 shortages pale in comparison. Think about it. It’s nothing short of “miraculous” how the “unemployment rate” fortuitously fell to a multi-year low of 5.9% last month, whilst QE3 fortuitously ended yesterday, six days before the mid-term elections. The fact that real unemployment – not just in the States, but worldwide – is at its singular low point of the century should not be considered, according to Washington and Wall Street. Or, for that matter, that QE is more necessary now than ever. With the global economy in such horrific shape and U.S. economic data falling as rapidly as anywhere else, record high stock and bond prices could not be more ominous. Debt is rising parabolically everywhere; and now that oil prices and currencies are serially collapsing, the inflationary and geopolitical ramifications will be devastating – including here in the States, where the ballyhooed shale boom is on the verge of an historic collapse. Yesterday, the Fed culminated a month of blatant collaboration with the PPT, gold Cartel and Exchange Stabilization Fund, with one of the biggest pieces of economic propaganda in history – exceeding in brazenness even last month’s “new home sales” figures, which we deemed the “all-time biggest lie.” Not to mention, claiming to “end QE” with its final “POMO” – or Permanent Open Market Operation” – on October 27th; yet, producing a prototypical “dead ringer” algorithm on the “Dow Jones Propaganda Average” the very next day, proving its printing presses are as active as always. In accompanying such chicanery with the outright lies in its statement, they elevated themselves to Pinocchio-like status. As Zero Hedge eloquently put it, the Fed pretended to be optimistic in its quest to “justify” ending QE and satiate its Washington and Wall Street masters ahead of the election. In reality, it again said “Nothing!” incremental about its policy stance – including its ongoing “data dependency” and intention to maintain ZIRP for a “considerable time.” However, in stating “the Committee judges there has been a substantial improvement in the outlook for the labor market” and it “continues to see sufficient underlying strength in the broader economy to support ongoing progress toward maximum employment, in a context of price stability,” they literally “broke the mold” on BS. Recall, it was only July when Whirlybird Janet lamented of “significant underutilization of labor resources – which was promptly followed by a miserable August NFP report, and a September report depicting the overall Labor Participation Rate at a 36-low; and for males, a record-low – as when the gold standard was abandoned in 1971, millions of woman were forced to work to offset the massive inflation unleashed. And I won’t even waste space speaking of the fact that any actual jobs created – outside of the fictitious “birth/death model” type – are largely part-time, minimum wage, non-benefits paying jobs in non-productive industries, entirely for 55+ year olds that can no longer afford retirement. Heck, it was just two weeks ago when, in response to plunging stock markets, six separate Fed governors were calling for a delay to QE’s end. That is, before the PPT engineered its most blatant equity-goosing operation yet enabling the FOMC to publish such drivel and continue its “QE-ending” ruse. Yes, with economic data in freefall the world round, the aforementioned trends are sure to yield “maximum employment” and “price stability” in the very near future. As for the “market reaction,” just how ridiculous could the manipulations be? As occurs every time the Fed speaks, precious metals were mercilessly bombed – as they are every moment of every day recently. Meanwhile, the stock market’s initial decline was, as always, halted within minutes; and even a second wave of selling was met by staunch PPT support, enabling modest losses by the close. And contrary to the Fed’s “bullish” hype, interest rates ended the day lower – and even following this morning’s “better than expected” GDP reading (ENTIRELY due to government spending as personal consumption spending growth was not only lower than expected, but lower than the first quarter’s “weather” related plunge ), rates are lower still. As are global equities, which either don’t buy the BS are historically overvalued, or both. Of course, the PPT reversed an entire morning’s worth of Dow future weakness at the NYSE open – compared to plunging European markets; as well as commodities, currencies, and essentially everything the U.S. PPT doesn’t control. As for the benchmark 10-year Treasury yield, for all the Fed’s hype, it sits at 2.29% as I write, enroute to breaching its new 2.20% line in the sand – and eventually, Japanese and German rates below 1.0% before hyperinflation inevitably arrives. Remember, just because QE3 is over, it doesn’t mean QE is over; certainly not covertly – and as we will likely learn next year, overtly as well. Remember, fiat currency is by definition a Ponzi scheme – and thus, QE must continue to “infinity” to prevent instantaneous collapse. As Peter Schiff puts it, QE is an “economic roach motel” – in that once you get in, you can never get out! 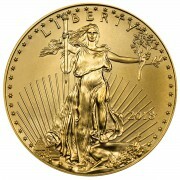 Gold is a good place to put money these days, given its value as a currency outside of the policies conducted by governments. Hopefully, you too will listen to what this “ultimate insider” is saying, now that he is not beholden by the corridors of Washington in the twilight of his sorry pathetic life. I’d say gold at $1,200/oz. is the bargain of a lifetime. 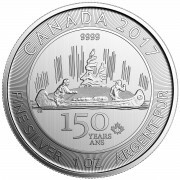 However, seeing silver at $16.65/oz. – with an average production cost of $20-$25/oz. ; an industry-sustaining cost of $25-$30/oz. ; record-high global demand; record-low global inventory; and the prospect for not only an imminent production implosion but long-term industry impairment, it’s difficult not to “pound the table” at such prices. while the present QE money, and funding days, carries the market through the elections. and the before the 2016 elections. Was everybody fooled by this? I don’t think it’s that obvious. Andy thank you so much for calling it like it is. I couldn’t agree more. It is nice to have experts like yourself and Bill to reference your articles to co-workers and others who like to poke fun of me when the shiny stuff drops. You are spot on. Empirical evidence is suggesting the fundamentals are flawed (the belief that there is tight supply). Silvers downside is limited to the face value printed on the coin. 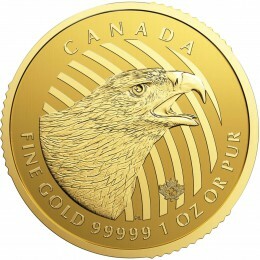 I am a steady buyer out of Canada and just received a .30 discount on(Sunshine mint)coins as the price continues to head lower!! This is truly not indicative of a supply shortage.I think the paper part of the story is to believe there is a shortage. The physical part of the story is (lots available),even at lower prices as my continued purchases continue to reflect. Faith and denial are not fact based but trust and fear based! How can I argue this point any other way? For one, per what I wrote yesterday, many of our competitors are either going bankrupt or on the verge of it. Thus, they are cutting prices to pay the bills. But the true “empirical evidence” is the fact that global silver demand (India, U.S./Canadian Mints, etc.) is at a record high, and production levels have barely changed – enroute to near-term production declines. Already, I see junk silver premiums creeping up – which is typically the first sign of shortage. I suppose I was under the assumption that coin and bullion dealers were on a commission bases with the mints or distributors, whereby falling spot prices were absorbed by the mints and not an ‘inventory risk’ similar to (vehicle dealerships). This is my curiosity based on your comment ‘many of our competitors are either going bankrupt or on the verge of bankruptcy. Can you clarify this to the uninitiated (myself) and a lot of your readers, so we can understand this process a little better. …Yet I humbly beg your explanation of this anomaly..
P.S. If we could get TPTB to take the week off….all markets would likely normalize. We don’t get paid by Mints. There is a distribution chain, in which the “spread” is absorbed all along the way. When I say our competitors, I mean other dealers. They are in dire straits because business has been slow, so they can’t cover their overhead costs. And I didn’t say we were in shortage yet, only that the signs (rising premiums, for example, are there). The Mint just reported its third-best month ever, and supply numbers are well known. The market is tight, and can go from “monster box on your doorstep” to significant premium increase and delivery time in a hurry, as it did in 2008, 2011, and 2013.